USB and Firewire have been in wide use for a decade now, and they’ve done a lot to usher in the modular, multi-purpose modern laptop, which rarely needs to be opened with a screwdriver in the course of normal use. Both come in different flavors, meant to connect different kinds of devices. You shouldn’t have much trouble telling apart the three kinds of Firewire, because each has a uniquely-shaped jack. USB 1 and USB 2, however, look exactly the same. USB 1 is much slower, and is meant for undemanding gadgets like mice, keyboards, tablets, and MIDI interfaces. 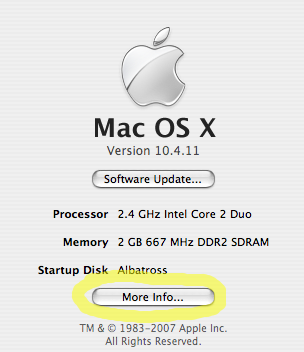 USB 2 is required for everything else, like hard drives, memory sticks, and audio interfaces. Pretty much all computers sold in the past five years come with USB 2, but for older machines you may need to check before buying new equipment. 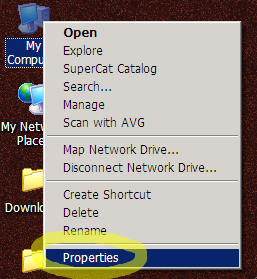 Unhelpfully, the diagnostic screens for both OS X and Windows don’t make this important information easy to decipher. 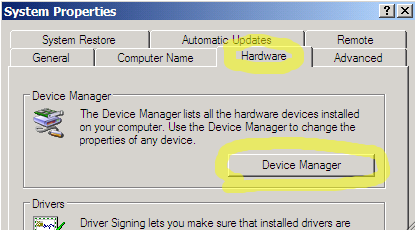 If you see the word Enhanced somewhere in the description of your USB hardware, you have USB 2. 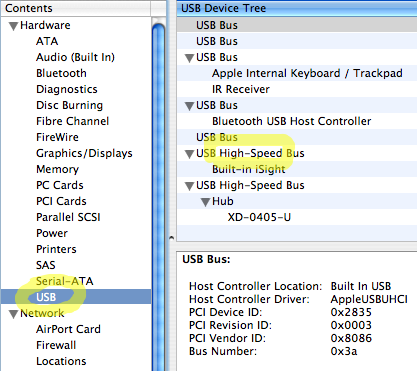 If you see the word High-Speed somewhere in the description of your USB hardware, you have USB 2. If you don’t have USB 2, you’ll need to buy an add-in card. If you’re looking into this in order to work with video on an external hard drive, you may want to get a Firewire card instead; while not as versatile, it’s better-suited for that particular job. The cost of the cards is comparable, although Firewire hard drives tend to be more expensive. Comments Off on USB 1 or USB 2?